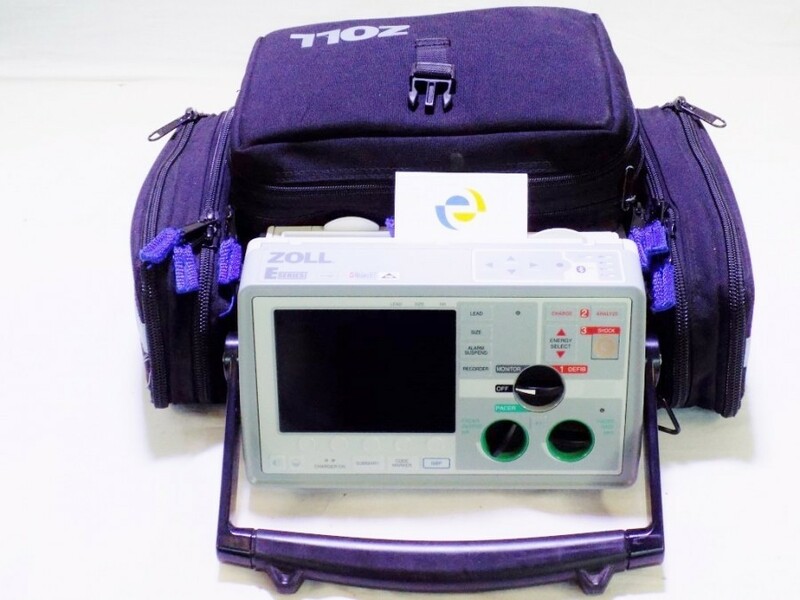 The ZOLL E Series products were designed to withstand the roughest conditions, whether it is below-zero temperatures, heavy rain, heat, drops or extreme forces. 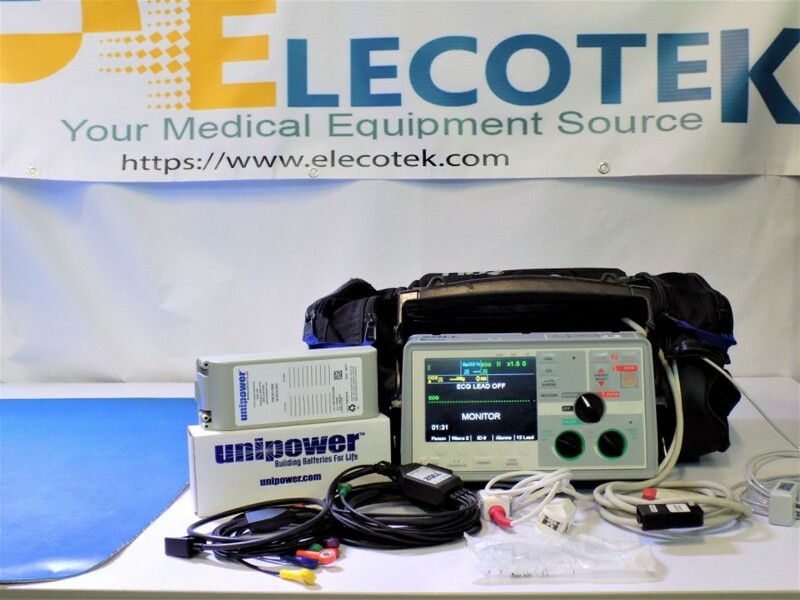 Its compact and lightweight design makes it the ideal companion for every member of the emergency medical services team. 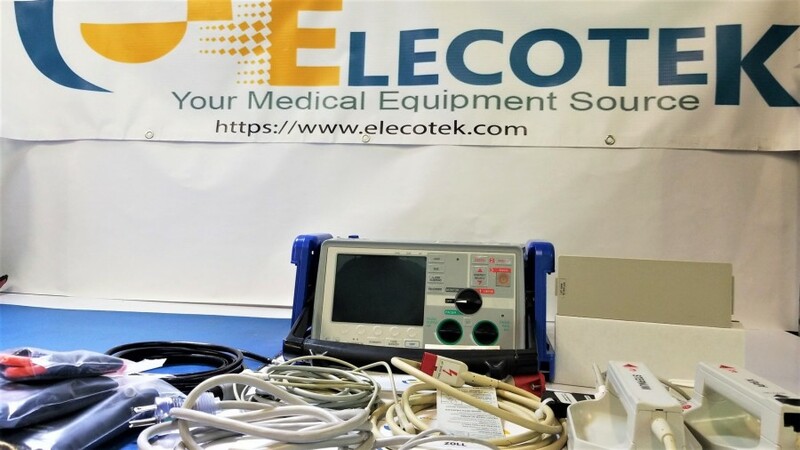 All E Series products are equipped with a high-resolution LCD that has three operating modes for maximum readability: color, black on white, white on black. Whether in darkness or direct sunlight, the information on the screen is always easy to read. The following table shows the main advanced capabilities of the E Series. 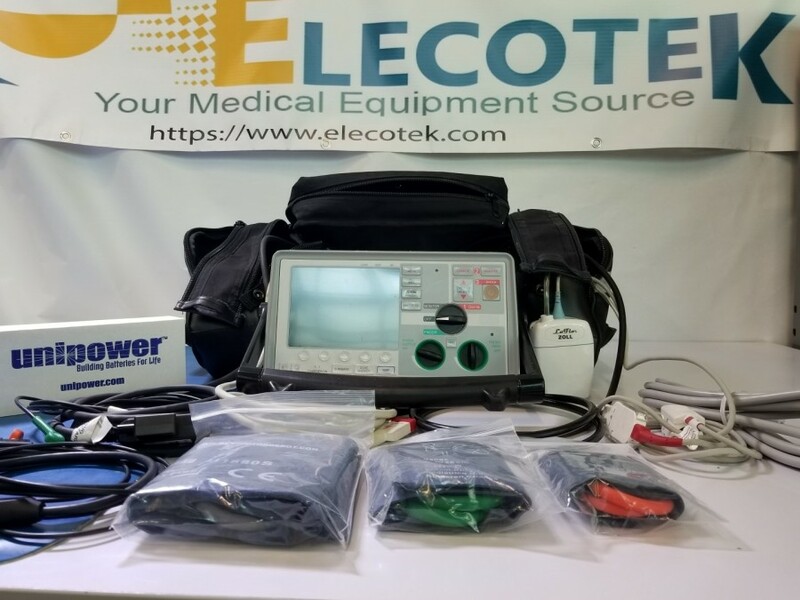 Depending on the configuration, E Series products can display, record, or print 3-lead or 12-lead ECGs. 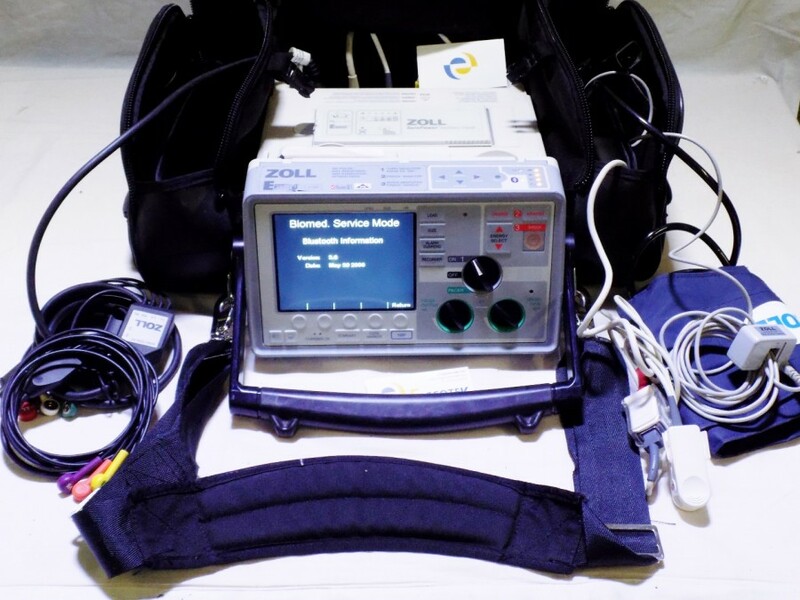 The ZOLL E Series is the most versatile and sturdiest piece of equipment that was ever built. Staff in critical care, in the emergency room, or paramedics on the road, value its reliability and usefulness. 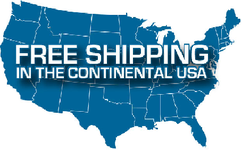 Worldwide, it has become the most frequently used portable monitor and treatment device. 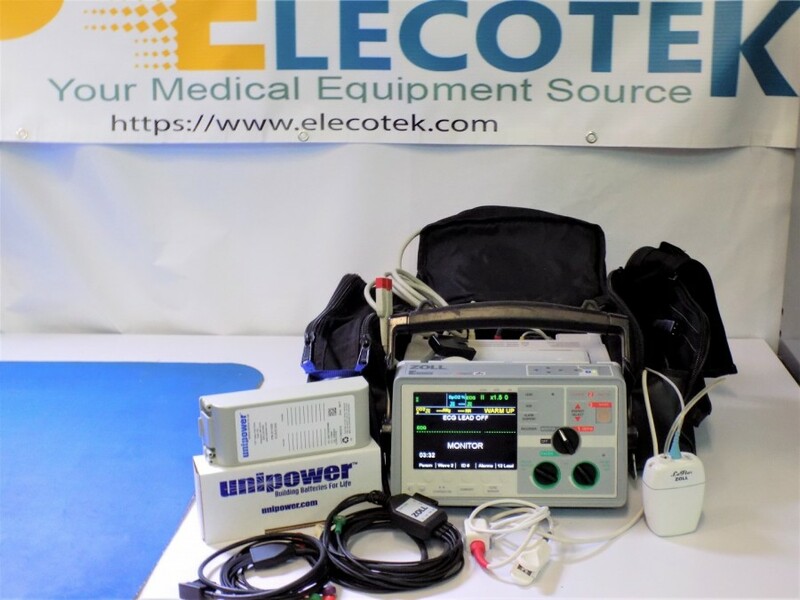 Whenever a critically-ill patient needs to be transported from one location to the other, the E Series delivers important information about the patient’s respiratory and cardiovascular status. It continuously or intermittently monitors these vital parameters: 3-lead or 12-lead ECG, SpO2 (optional SPCO, SpMet), NiBP, and end-tidal CO2. Depending on the type of batteries (sealed lead acid, Lithium ion, NiCd), the operating time varies between 2,75 and 4.25 hours. Rescue teams value its ability to provide a quick print-out for documentation purposes or use the optional PCMCIA card for recording and transferring all obtained data for later analysis with RescueNet Code Review on a Windows PC. 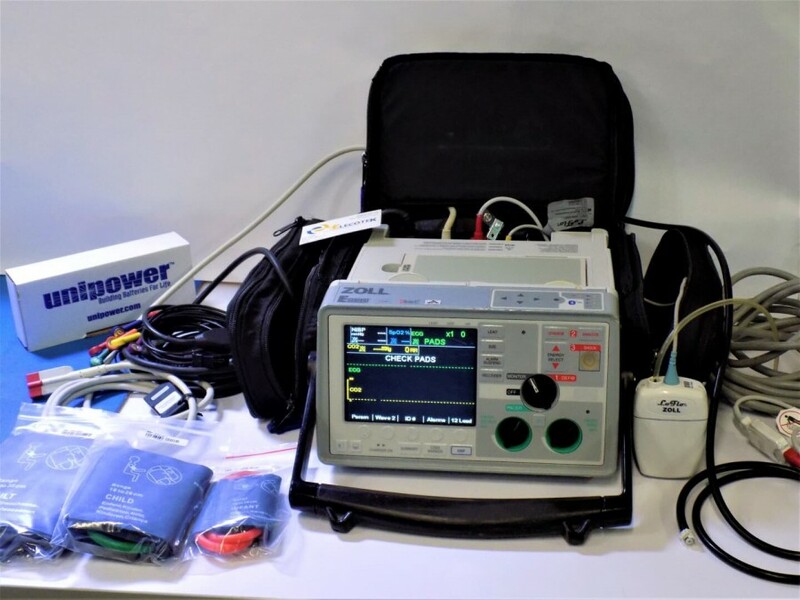 The inbuilt GE Medical Systems Information Technologies 12SL Analysis Program (if configured) provides an automated ECG analysis with interpretation. 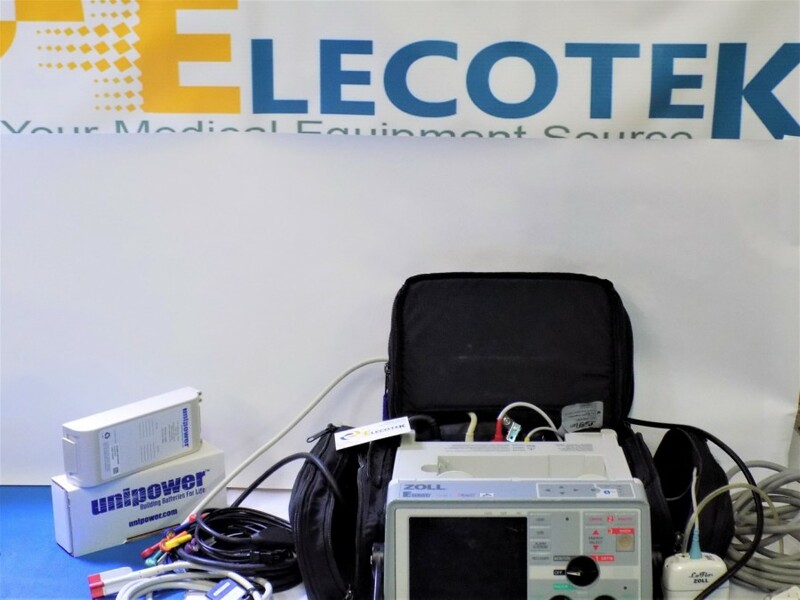 The E Series’ 12-lead ECG capability enables quick on-site identification of ST-Segment Elevation Myocardial Infarction (STEMI) to activate a “Code STEMI” at the nearest hospital. 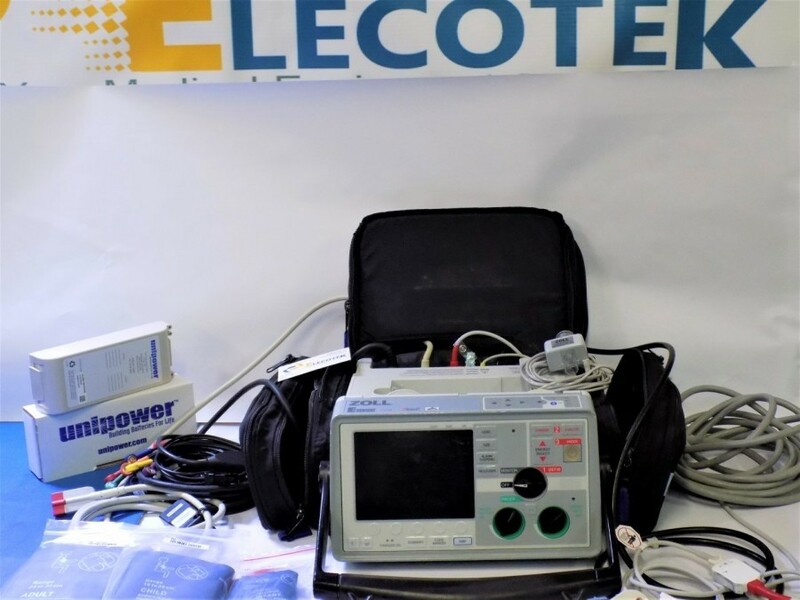 In case of a sudden cardiac arrest, the advisory function of the defibrillator analyzes the ECG for a shockable rhythm. 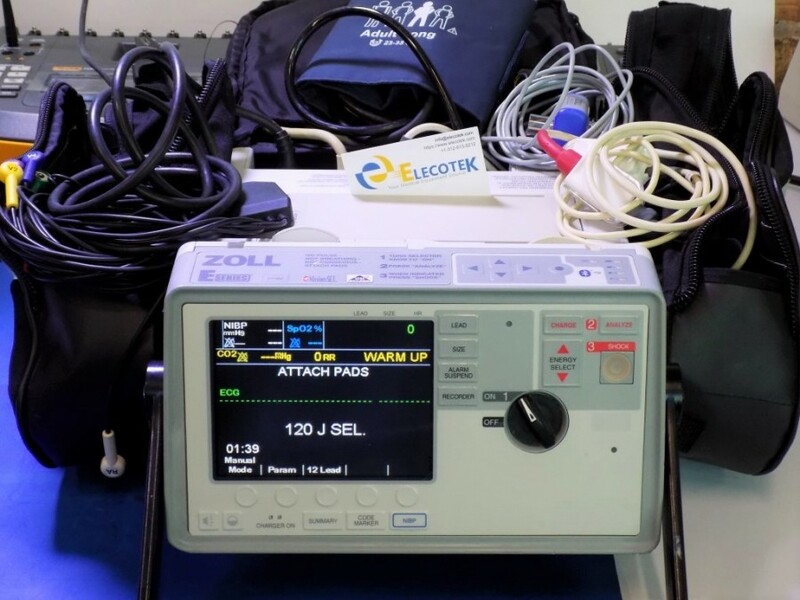 Pulse-oximetry and co-oximetry help to immediately detect hypoxia and detect life-threatening carbon monoxide and methemoglobin intoxication. Capnometry provides invaluable information about the patient’s respiratory status. In addition, end-tidal CO2 helps to identify the correct position of the intra-tracheal tube if the patient requires intubation and ventilation. biphasic waveform has greater shock efficacy in patients with ventricular fibrillation (Review by Nichol et al., JACC, Dec. 2017). 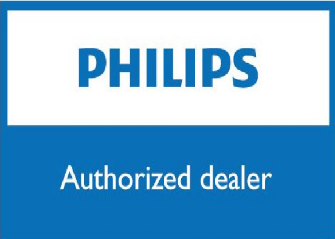 The AED and advisory mode of the E Series automatically recognizes a shockable rhythm, e.g. pulseless ventricular tachycardia (VT) and ventricular fibrillation (VF). The machine displays all relevant commands on the screen and uses voice prompts to alert and instruct the emergency staff. 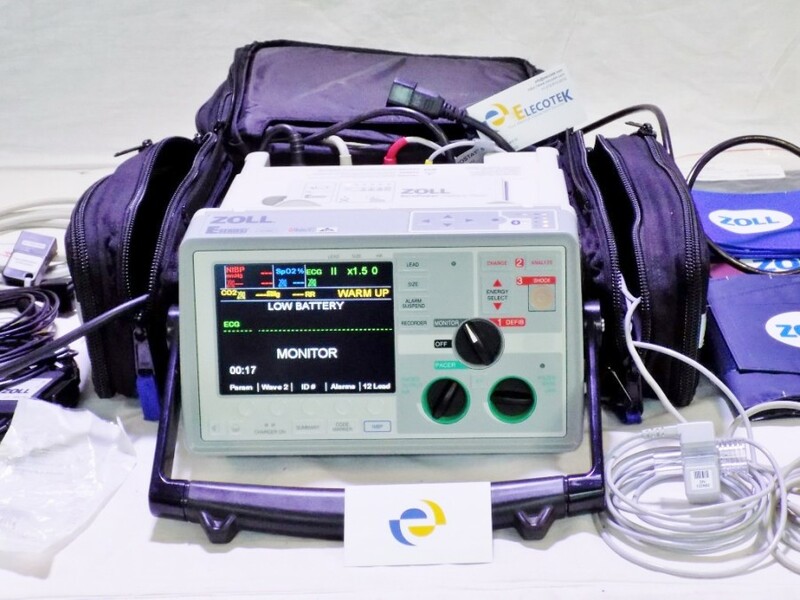 The E Series is also capable of synchronized defibrillation (Softkey: SYNC ON) by discharging the shock with the next detected R wave. This helps to avoid the vulnerable T-wave segment of the cardiac cycle. Indications for electrical cardioversion include supraventricular tachycardia (SVT), atrial fibrillation or flutter, and VT with pulse. Chest compressions inject CPR artifacts into the ECG signal. 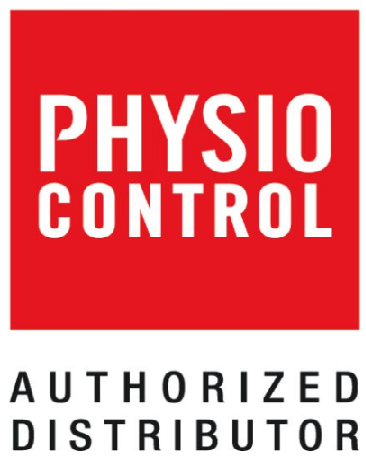 Without the See-Thru CPR® algorithm, the rescuers has no other choice then interrupting the CPR once in a while to assess whether the patient’s ECG has returned to a normal or near-normal rhythm, in conjunction with estimating cardiac output. When using CPR-D•padz electrodes, the See-Thru CPR algorithm applies a filter for removing the CPR artifacts from the ECG signal which helps to maximize the amount of resuscitation. In some cases, such as asystole or low amplitude PEA, the residual artifact seen after filtering may look like fine ventricular fibrillation. If in doubt, the rescuer should always follow the standard procedure of stopping CPR to assess the patient’s ECG rhythm. The Multi-Function Electrode (MFE) Pads are attached to the thorax place in an anterior (pre-cordial) and posterior position. 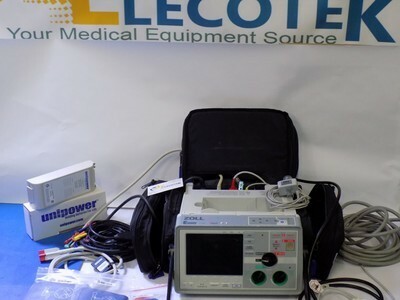 The E Series pacemaker allows for continuous adjustment of the output current between 0 and 140 mA. The pacing rate is continuously variable from 30 to 180 pulses per minute (ppm). 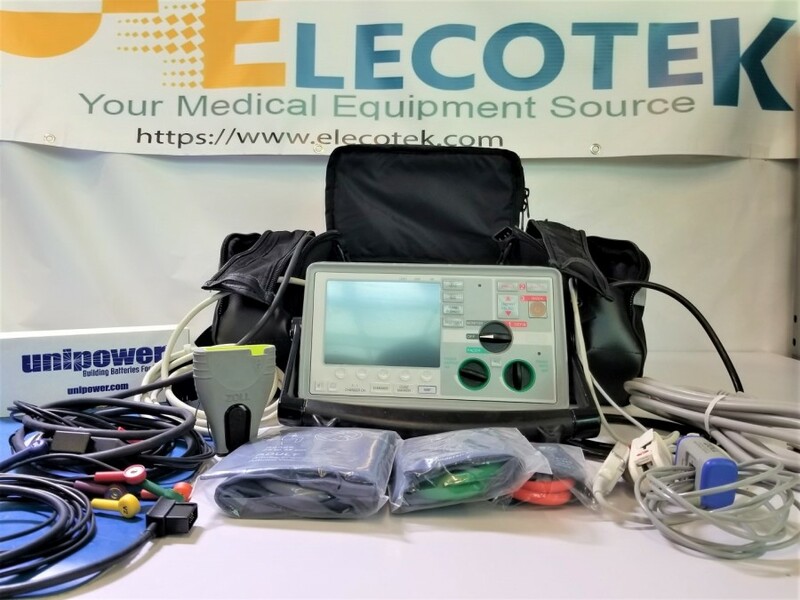 Some of the E Series systems offer Bluetooth capability for wireless transmission of the 12-lead ECG. 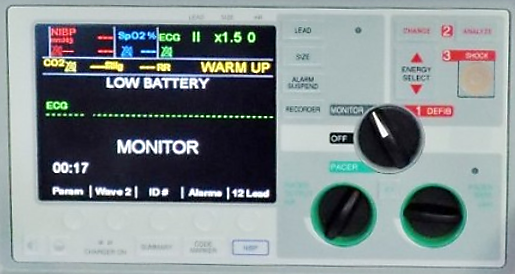 This enables EMS staff to transmit ECGs to the hospital ahead of patient arrival. The ECG arrives within seconds in the software system of the receiving emergency or cardiology department.